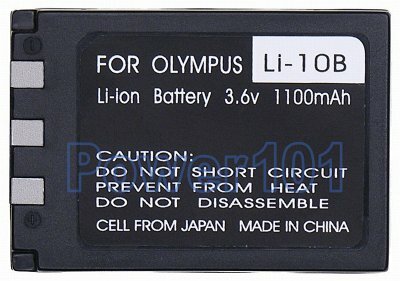 Rechargeable Li-Ion battery for Olympus LI-10B and Li-12B. Made in China using highest quality Japanese cells. This battery fits quite a lot of Olympous and Sanyo cameras. Some of the most popular models are Olympus Stylus 300, 400, 410, 500, 600, 800, CAMedia C-50, C-60, C-70. Many other cameras are compatible, please check our camera compatibility list to find which battery you need. 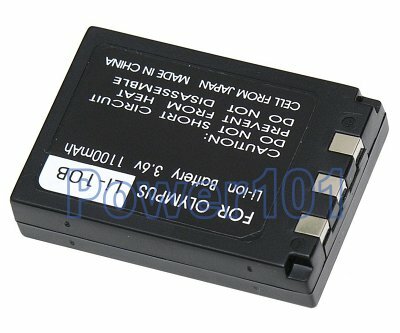 This battery can be charged by any standard charger compatible with Olympus LI-10B, LI-12B such as the charger that comes with your camera.